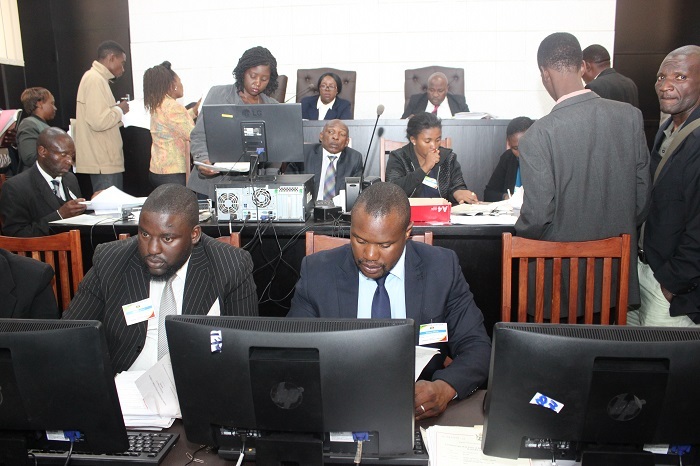 Honourable Mrs. Justice Priscilla Makanyara Chigumba is a Judge by profession. She kick started her career as a Professional Assistant at Messrs. Gollop and Blank Legal Practitioners in 1994 to 2000. She was then appointed Assistant Company Secretary at PG Industries Zimbabwe Pvt Ltd in 2000 before becoming a Proprietor in 2000 to 2002 at PM Chigumba and Associates Legal Practitioners in Harare Zimbabwe. Between 2004 and 2007 she worked as a Resident Magistrate at Harare Magistrates Civil Court before becoming a senior Research Assistant at Judicial Service Commission (JSC) - secondment to the Office of the Chief Justice in May 2011 to December 2012. Her grade was that of Provincial Magistrate. She holds a Bachelor of Law (LLB) Hons. Degree accomplished from University of London; Kings College London. She also has other professional qualifications which include being an Associate of Kings College (AKC), registered to practice law in Zimbabwe in 1996, became a member of the Law Society of Zimbabwe in 1996, Legal Practitioner ,Notary public, Conveyancer, Commissioner of Oaths, Magistrate ( Justice of Peace) (2000-2011), Chief Researcher in the Office of the Chief Justice (2011-2012), Judge of the High Court of Zimbabwe in Harare (2012 to date) and Professional Trainer of Magistrates (2015). Honourable Justice Mrs. Priscilla Makanyara Chigumba was appointed and sworn in to be the Zimbabwe Electoral Commission (ZEC) Chairperson on 1 February 2018. 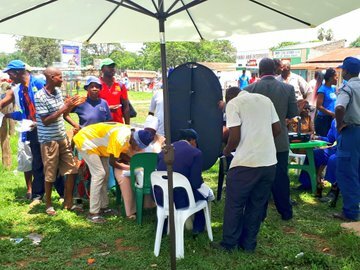 Her responsibilities are to ensure that every citizen who is eligible to vote has an opportunity to cast a vote including persons living with disability or special needs. Her obligation is to oversee the conduct of free, fair and credible elections/ referendums in Zimbabwe. Her role as ZEC Chairperson also includes ensuring that elections/referendums are free from violence plus other electoral malpractices and to ensure that all eligible citizens are registered to vote. She is a strong advocate of integrity, honesty, fairness, accountability and has a high sense of social responsibility. Commissioner Joyce Laetitia Kazembe is a Zimbabwean citizen and a person of unquestionable social upbringing and standing Soon after attaining her University degree, Mrs Kazembe was appointed a Research Fellow in the Centre for Applied Social Sciences (CASS). in the Faculty of Social Studies at the University of Zimbabwe where she served for five (5) years (1984-1988). During the same period, she was also a Tutorial and Teaching Assistant in the Department of Political and Administrative Studies until she left mid-1990. Mrs Kazembe then worked for seventeen years (Mid 1990 – 2008) as Administrator, Trustee, Chief Public Relations & Coordinator of SAPES Books Publications and, subsequently, Bureau Chief at the Southern African Political Economy Series (SAPES) Trust. As a renowned gender activist, researcher and fellow founder of a number of women’s organizations in Zimbabwe in the late 1980s and early 1990s, (Women’s Action Group; Women and Law in Development in Africa; and Women and Law in Southern Africa (WLSA) Research Trust), she is committed to gender equality. She co-authored five (5) WLSA research books on how law affects women differently in its application. Commissioner Kazembe has demonstrated professionalism, non-partisanship and candidness in the administration of electoral duties. She is professionally competent, articulate, confident and well informed on electoral matters in Zimbabwe and in the SADC region and beyond. Because of these attributes, she was appointed and served for six (6) years as Commissioner in the Electoral Supervisory Commission before its dissolution in 2006. Subsequently, she was appointed Deputy Chairperson of newly instituted Zimbabwe Electoral Commission from 2007 to the end of March 2016. In recognition of her capacity to lead she was re-appointed Commissioner for a further six (6) year term in July 2016. In addition to being an inaugural member of Council of the Women’s University in Africa (WUA) Council and that of the Catholic University in Zimbabwe, Commissioner Kazembe is a former member of the Zimbabwe Broadcasting Corporation’s Board of Governors. She is a very good communicator and a devout Catholic. Commissioner Daniel John Chigaru is a teacher by profession. Between 1966 and 1978 he worked as a teacher, headmaster and education officer before obtaining university education. He holds a Bachelor of Administration degree (UZ) and a Master of Business Leadership degree (UNISA). 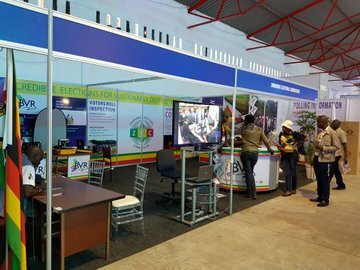 In 1982 he joined the Zimbabwe International Trade Fair where he served as an administration officer, an assistant general and later as the general manager for 10 years up to 2013 when he retired. Throughout his work career, Mr Chigaru distinguished himself as an educationist, an accomplished administrator, a marketer and a business leader. He has a wealth of experience in trade promotion, exhibitions and project management and has been involved in various local, regional and international outbound missions concerned with training, market research, trade promotion and exhibition management. In 1990, he was seconded to Messe Stuttgart in Germany to further his training and experience in international exhibition and project management. During his tenure as ZITF general manager, he successfully organized and managed the trade exhibition that coincided with the 13th COMESA Business Forum and Heads of State Summit (2009/2010), the rebranded Sanganai/Hlanganani World Travel and Tourism Africa Fair (2008/2009), the Global Expo Botswana (2006/2007) and was consultant for the Zimbabwe participation in the World Expo Hanover, Germany (2000) ; Aichi, Japan (2005) and Shanghai, China (2010). Commissioner Chigaru is a strong advocate of integrity, honesty, fairness, accountability and has a high sense of social responsibility. He has served on several boards, university councils and committees that are core to the development of local communities and the nation at large. He served the Zimbabwe Electoral Commission (ZEC) as Commissioner from April 2010 to March 2016 and was reappointed in July 2016. He is a Seventh Day Adventist elder who espouses strong Christian values. Commissioner Ndlovu has been involved in elections since 1995 as an election officer, an election monitoring supervisor, voter education supervisor with Election Supervisory Commission (ESC), once a Deputy Elections Officer for Bulawayo Province in 2007. and then a District Elections Officer in Bulawayo District from 2008 to March 2010. She also served in the Ministry of Education, Sport and Culture as a teacher in various schools becoming a secondary school Head in 1995 up to 2007. She has sat on various boards as a member. Ndlovu holds a B.A Hons Degree and Grad CE from UZ and certificates in counselling, sports and administration as well as Business Administration. Ndlovu is a born again Christian and loves the Lord. Ms Netsai Mushonga (Commissioner) Commissioner Mushonga is a development consultant specialising in governance and peace building, gender equality, human rights and conflict resolution. Previously she worked as a consultant and senior manager responsible for capacity building in peacebuilding and conflict resolution with the Centre for Conflict Resolution (CCR) in South Africa. She managed conflict resolution, human rights and peacebuilding projects in 12 countries in East, West, North and Southern Africa. 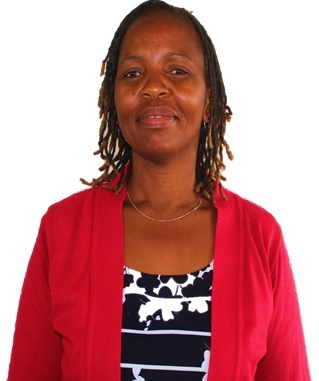 Between 2003 and 2013, Netsai was the National Coordinator of the Women’s Coalition of Zimbabwe (WCoZ), where she gave vision and grew the women’s movement through strategic leadership, coordinating collective lobbying and advocacy for policy change and implementation, negotiating for women’s human rights, resource mobilisation, creating and maintaining strategic partnerships, bringing women together around the gender agenda as well as engagement at the highest level of government and politics in Zimbabwe and abroad. The successes of the women’s movement during her period include growing the WCoZ membership by 200%, successfully advocating for the Domestic Violence Act, advocating for women’s equal participation in negotiations for the Global Political Agreement (GPA) and in the crafting of the new constitution for Zimbabwe that was passed in 2013. At the international level, Netsai is a member of the SADC Gender Protocol Alliance and the Gender is My Agenda Campaign. She has been a member of the Women Peacemakers Programme (WPP) since 1998 and sits on its International Advisory Council. Netsai has also worked as a consultant participatory trainer and facilitator in gender, masculinities, conflict resolution, women’s rights, gender based violence, economic empowerment and peacebuilding since 2000, having done such work in Africa, Asia, Europe, Middle East and North Africa and the United States of America. 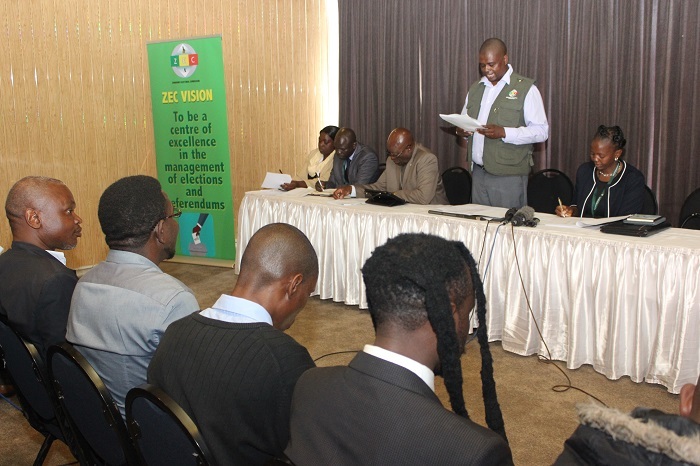 Netsai’s will contribute to nation building through the vision of ZEC which is, “to be a centre of excellence in the management of elections and referendums. 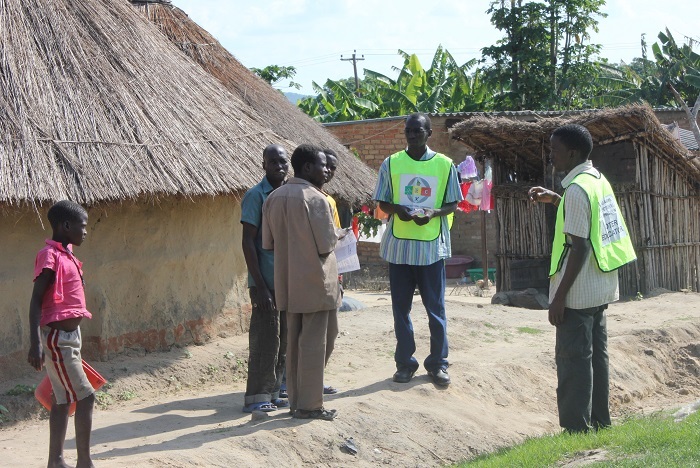 She works by the values of ZEC which are transparency, independence, teamwork, impartiality and integrity. Dr N. Kundidzora is a highly qualified law professional with more than thirty five years post-doctoral experience in consultancy and advisory services. He has a strong understanding of law in various areas such as International human rights law, International humanitarian law, International criminal law, constitutional law, local governance, good governance and International best practice. He is an experienced civil servant and a university lecturer with extensive international exposure. Dr N. Kundidzora also has good knowledge of legal reform in countries in democratic transition. Mrs Faith Sebata is a highly competent educationist who trained initially as a secondary school teacher (STC-T2B) at Gweru Teacher’s College (1977-1979) and later did B.Ed. and M. Ed in Educational Administration, Planning and Policy Studies with the Zimbabwe Open University (1997-2002). Faith has over a decade of experience in secondary and tertiary education (1980-2007) starting off as a teacher in various schools locally and internationally (Guest Teacher Programme, Ireland: 1995-1996). Most notably in this field she rose through the ranks to become the Head of Tokwana Secondary School and Gwanda Government School respectively. She was the acting Education Officer at the Matabeleland South Regional Officer between 1991 and 1995. Faith has also lectured Home Economics and Theory of Education at Joshua MqabukoNkomo Polytechnic College. She also has experience of over 10 years in the electoral management field starting off with the thenElectoral Supervisory Commission (2002-2005) up until she was substantively appointed as Director Voter Education (2007-2013) by the Zimbabwe Electoral Commission (ZEC). Faith has international networks to keep abreast with dynamics in electoral systems and processes.She trained as a fully accredited BRIDGE facilitator finishing in April 2012. The Bridge Project helped sharpen her skills in Computer Literacy and in Training Methodology. As a Christian, she places a lot of importance on principles of honesty, trustworthiness and fairness. She also has a strong family background which emphasises collaboration, empathy and a sense of belonging. In essence, Faith carries stability and wisdom underpinned by maturity and experience. Dr Qhubani Moyo was born on 05 November 1974 in Insiza district. He was appointed Commissioner on 02 September 2015. Commissioner Moyo did his primary education at Magwegwe Primary School before proceeding to Sizane Secondary for O Levels and Mzilikazi High School for A-Levels. He studied for a Bachelor of Arts General Degree and a Masters in Tourism and Hospitality Management at the University of Zimbabwe where he was also a member of the students’ representative council. He started his work career as a teacher at Milton High school in Bulawayo and later joined the Bulawayo Polytechnic as a lecturer in tourism studies. He later joined the National University of Science and Technology as a lecturer in the Department of Finance. He also did a course in Policy Development and Implementation after which he went to study for a Masters’ degree and Doctorate in Public Policy and Development Management at the University of Witwatersrand in South Africa. Dr. Moyo is the Chief Executive Officer of Fairtalk Communications, a multi-media company that owns two regional commercial radio stations; Skyz Metro FM in Bulawayo and Breeze FM in Victoria Falls. During the Government of National Unity (2009-2013), he was part of the management committee of the Joint Monitoring and Implementation Committee (JOMIC), an organ that was tasked with overseeing the monitoring of the implementation of the agreements made during the construction of the government. He is married and has two children.